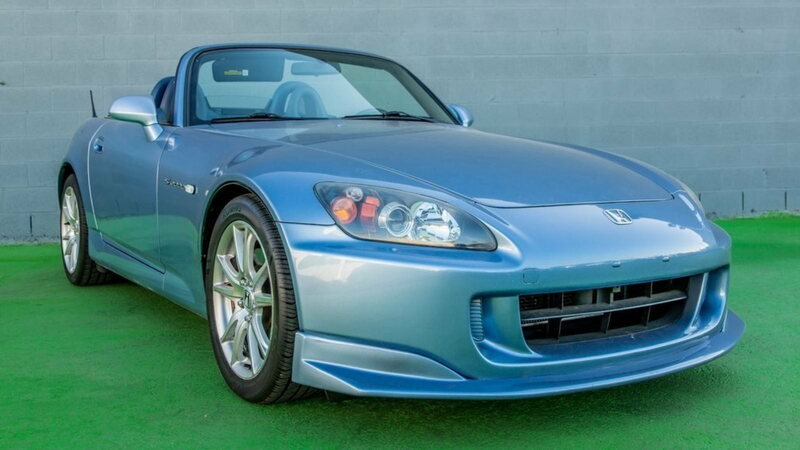 If you want a relatively inexpensive and crazy fun roadster that’s not an MX-5, S2000s are an excellent used buy. Take a look at a few of them we found that are available right now... if you're in the market for one. The Honda S2000's standard engine is an F1-inspired 2.2L DOHC four-cylinder that produces 237 horsepower at a screaming 7800 rpm and 162 ft-lbs of torque at 6800 rpm. With plenty of low-end power and well-thought-out gear ratios, the S2000 is at home on the street as well as the track. A close-ratio six-speed manual is the sole transmission available in the car. Automatic drivers need not apply, but you won't mind because this is easily one of the industry's best shifting manual transmissions. A torque-sensing limited-slip differential helps apply the power to the road. The power convertible soft top raises or lowers in about six seconds at the push of a button and includes a glass rear window with defroster. Impressive stopping power is supplied by four-wheel anti-lock disc brakes with electronic brake distribution. 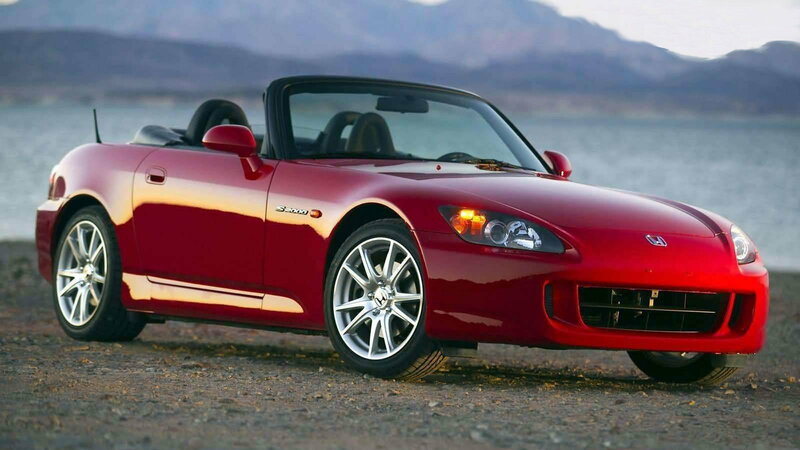 If you are in the market for your first S2000 or a new (used) one, you might want to re-educate yourself on what to look for when buying a used S2000. Fortunately, forum member dammitjim posted a very comprehensive overview of everything you need to know about the S2000. Be sure to check out his write up right here in the forum. For sale is a 2000 Honda S2000. The car comes with a 2-year-old soft top (w/ glass rear window), aftermarket Mugen style hardtop, and 2-year-old OEM clutch. This car is good condition. This car runs great and is still easily able to get up the 9000 RPM mark the original S2000s are known for. Typical wear on the body of the vehicle. Interior of the vehicle has the wear and tear of a 17-year-old vehicle. The red carpeting and leather on the seats is OEM and has not been tampered with since the car was built. The engine bay is clean and looks great as well. Rims are stock OEM rims from Honda and are in Satin/Chrome silver. This car will come with the car cover as well. For more information on how to purchase this car, please check out the details here. 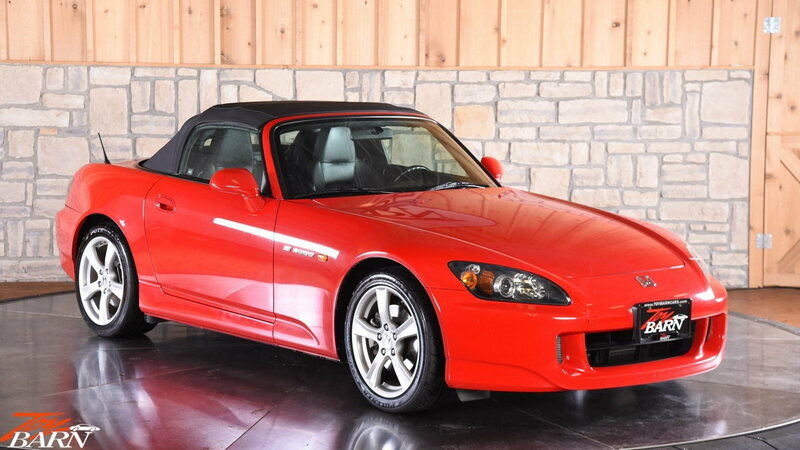 >>Join the conversation about purchasing a used S2000 right here in S2Ki.com. 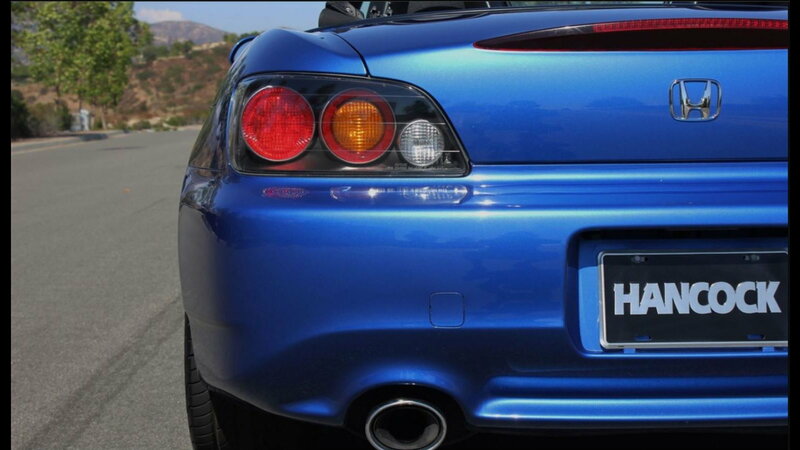 Clean Carfax, 100% unmolested, one of the best sports cars of all time, and Honda's best vehicle. The original hair-raising 9000 rpm, 240 hp VTEC 2.0L engine, close ratio transmission 6-speed manual, no electronic nannies of any kind, beautiful condition, brand new tires, brand new OEM top, non-smoker, factory floor mats, power windows, locks, mirrors, rust free, all factory trunk tools, MUST SEE! This car is in a league of its own. Visit Crossroads Car and Truck online right here. Super clean and fully serviced, including a brand new Canvas Cloth convertible top with glass rear window. 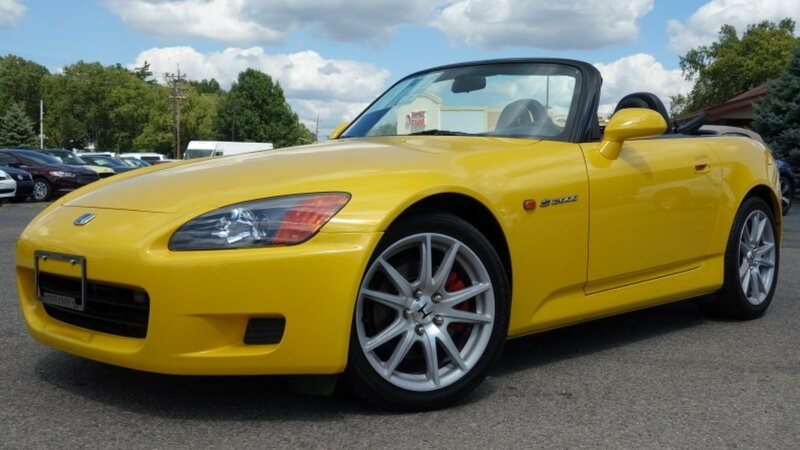 This S2000 Roadster is finished in the rare and beautiful Spa Yellow Pearl over a black leather interior with the upgraded new style 17" OE alloy wheels and rear spoiler. This example is in super clean condition inside and out and is the best driving example I have ever driven, with a super tight suspension with no noises over bumps, excellent brakes with no pulse, and smooth shifting transmission and strong clutch. The car also has a very nice and expensive cold air intake system to give it that aggressive VTEC snarl under WOT at high RPM, while retaining the stock exhaust system so there is none of that annoying buzzing or droning under normal driving. The car also has a cool authentic Moon Eyes shift knob that could easily be swapped out back to factory if desired. If you are looking for a super clean, low mileage, well kept S2000 with a new upgraded canvas top, don't miss out on this exceptional example. Rim Size: 16 x 7.5 in. 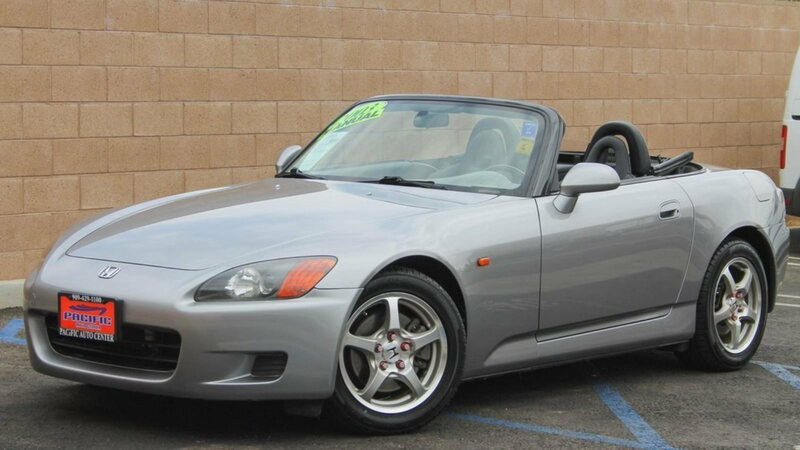 This Honda S2000 has a clean Carfax. It's a base convertible 2.0L, SMPI DOHC 6-speed manual transmission with only 70,000 miles. It's sporty, in excellent condition. You must see and test drive it. Blue Like New! Non-Smoker! MP3, iPhone Integration, ABS brakes, alloy wheels, AM/FM/XM-Ready/CD Audio System w with 4 speakers, illuminated entry, leather seat trim, remote keyless entry. 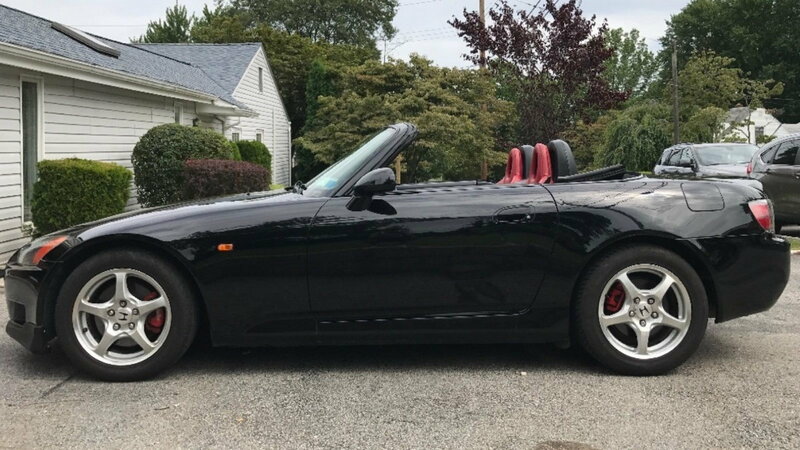 2004 Honda S2000 RWD 2.2L I4 SMPI DOHC. Extended warranty options are available for purchase on this vehicle. Rim Size: 17 x 8.5 in. For information on purchasing this car, please check out further details here. 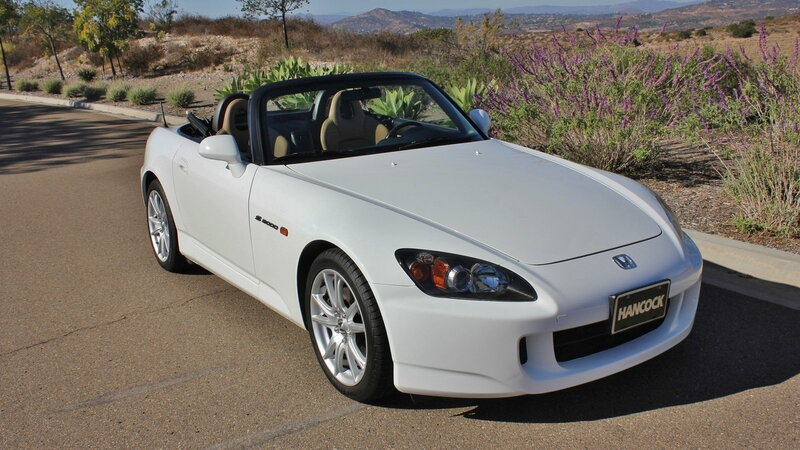 This 2005 Grand Prix White s2000 is in immaculate condition and has low mileage. See more pictures on at Handcock Auto Broker. Clean, low miles, and rare. Immaculate condition. No engine or suspension modifications, OEM stock car. If you been searching for a very clean LPB S2000, you know the opportunity do not come around often. Excellent, well maintained, turn key car. Maintenance is up to date. Fresh fluids. Brand new front tires, rears are close to new condition. Brand new brake pads and rotors all around. The soft top is in excellent condition. Vin tags match on all 10 panels. 6-Speed Manual Transmission. AM-FM Radio with CD Player. Black Soft-Top Convertible. Engine Start Button. Cruise Control. Rear Defroster. Keyless Entry. Power Windows and Mirrors. Xenon Headlights. 17-inch alloy wheels. 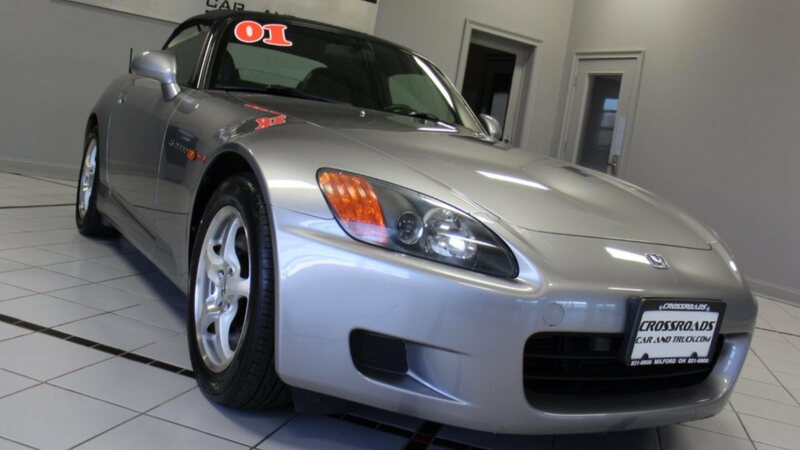 With its racecar-inspired suspension, perfect weight balance and high-output four-cylinder engine, the 2009 Honda S2000 delivers a high-performance driving experience at a relatively low price. Finished in stunning New Formula Red over Black leather with Red stitching, this 2.2L roadster delivers 237 hp with a 6-speed gearbox and comes ready for its next owner. The S2000 is an enthusiast's car pure and simple. If offers a solely visceral driving experience that rarely grows tiring.